I mainly ride the 10'1 cause its fun from 1ft up. I really must look into these Deep boards a bit more. Everyone who has them rates them highly! My main 3 boards. I weigh from 77kg to 85kg Lol! Sunova Soul 8ft 3" 29 wide110litres My favourite in most conditions. 90% of my sessions. Excellent solid construction. Still like new. JP Wide Body 8ft 2" 32 wide 124 litres Great in choppy lumpy water. Nice flat deck. So comfortable. But can be corky in big choppy surf. Coreban Hyper 7ft. 31wide. Heaps of nose rocker. Great for dumpy surf. And is my foil board now too. Love it. They are unreal. Well worth a look into. I like the Soul too, though mine is a 9.5 @ 150lt. I was actually wondering why Sunova dropped it from their lineup. It doesn't appear on their website anymore. That is a cool quiver of Infinitys. Another brand I'd like to investigate more. What's that RNB 7'11 like ? And where/what waves do you use it in?? Generally I surf it on waist to head high waves but not so steep. 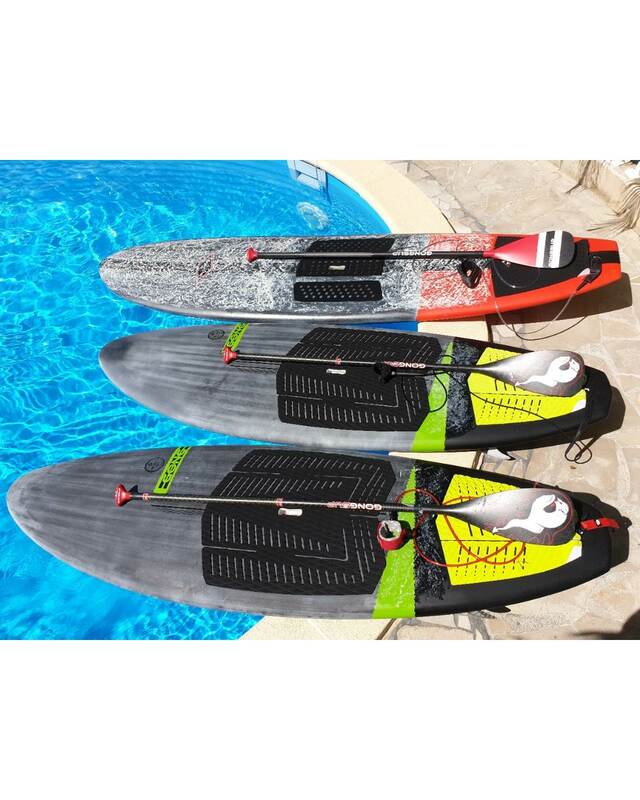 The board is super fast and stable for its dims, I weight 80kgs and I am comfortable even on 20knots onshore winds. Sometimes it feels like a skateboard under my feet. One of the best shortboard sup I've ever used. All bases, conditions andwave size covered. I had a Soul 9'5 and loved it. Was my first step to advancing my surfing. Maybe a bit too much volume for me at 78Kg, but handled most conditions& felt like a smaller board on the wave. I'd say the closest to the Soul 9'5 that I've tried is the Jimmy Lewis Stun Gun 9'7. Though I'd give the edge to the Stun Gun for performance. My perfect 3 board quiver is two boards: Sunova 9'6" Flow and the new Sunova 12' PtBreak. I guess to be fully rounded you'd have 14' race board throw in.